Your student. Your university. Your parent association at Johnson & Wales University's Denver Campus. The Denver Family Association (DFA) is here to provide a supportive, inclusive environment conducive to your student’s ongoing success. Designed to foster parental involvement in college life, our primary goal is to formalize the connections among families, students and the university. Your family involvement makes a big difference in your student’s college experience. Please email us with any ideas or suggestions you might have to make our Family Association stronger. We welcome your feedback, and I look forward to meeting and working with you throughout the year. And don't forget to like us on Facebook. 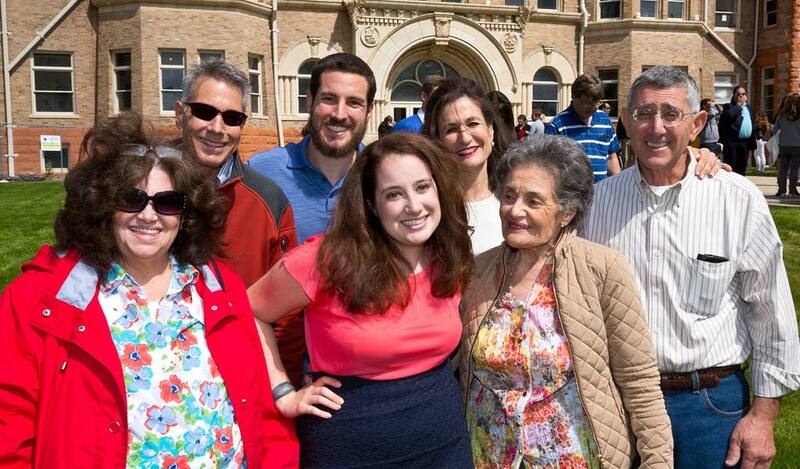 The Denver Family Association is a parent-driven organization that serves as a liaison between the university and its parent constituency; the group also promotes the university to prospective students and their families. Established to provide families with the opportunity to share in the collegiate experience, the association works on behalf of all JWU families to welcome new parents and students, develop programs and events, and to help ease the transition to collegiate life. Join us for Homecoming & Family Weekend! Family involvement makes a big difference in your student’s college experience. The online university newsletter, Family Connection, is another way to keep open the lines of communication. The Naked Roommate: And 107 Other Issues You Might Run Into in College, Harlan Cohen (Sourcebooks, 2005).